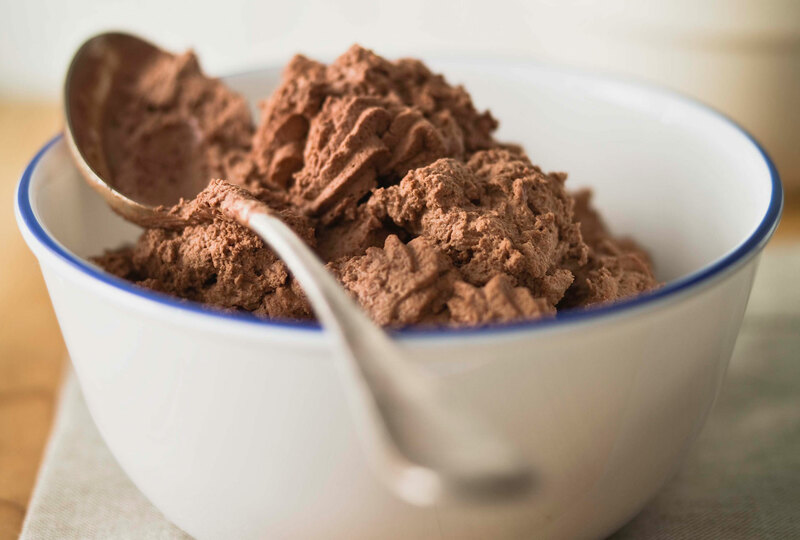 Head Pâtisserie Chef Julie Walsh has recreated a classic chocolate mousse, using less fattening ingredients for the more health-conscious festive cook. Reducing the sugar content, and substituting egg yolks for egg whites helps to make this classic dessert and little healthier. Melt the chocolate by chopping it and putting it in a bowl placed over a saucepan of hot water (make sure the bowl is not touching the water or the base of the pan) heat until the chocolate has fully melted. Once melted remove the bowl from the pan of hot water and allow to cool at room temperature until it reaches 30ºC. In a saucepan heat the coffee (or other liquid) until simmering, then add to the melted chocolate and mix until fully incorporated and smooth. In another saucepan heat the sugar and water, and cook until it reaches 118-121ºC. Meanwhile, whisk the egg whites until foamy then add the cooked sugar syrup while continuously whisking. Continue to whisk on a medium speed until cool. In a bowl blend the yoghurt and coffee liqueur (if using) until smooth. Pour into the serving dishes, and chill in the refrigerator until fully set. Form chocolate shavings from the block couvertures using a vegetable peeler. Sprinkle the shavings over the mousse just prior to serving. Decorate with fruit if desired.